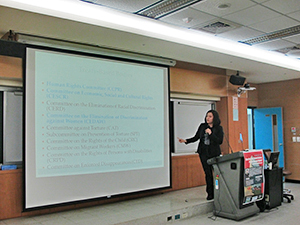 中華民國國際法學會 Chinese (Taiwan) Society of International Law - 第五場【現代國際法講堂】─ 蔡沛倫學姐：How Does the United Nations Protect Human Rights? 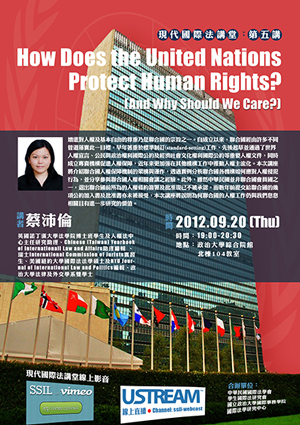 Home 學會活動 第五場【現代國際法講堂】─ 蔡沛倫學姐：How Does the United Nations Protect Human Rights? 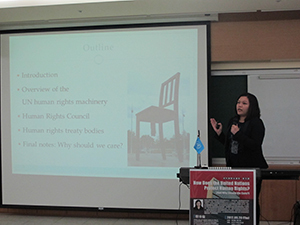 第五場【現代國際法講堂】─ 蔡沛倫學姐：How Does the United Nations Protect Human Rights?